I like to take the road less traveled. 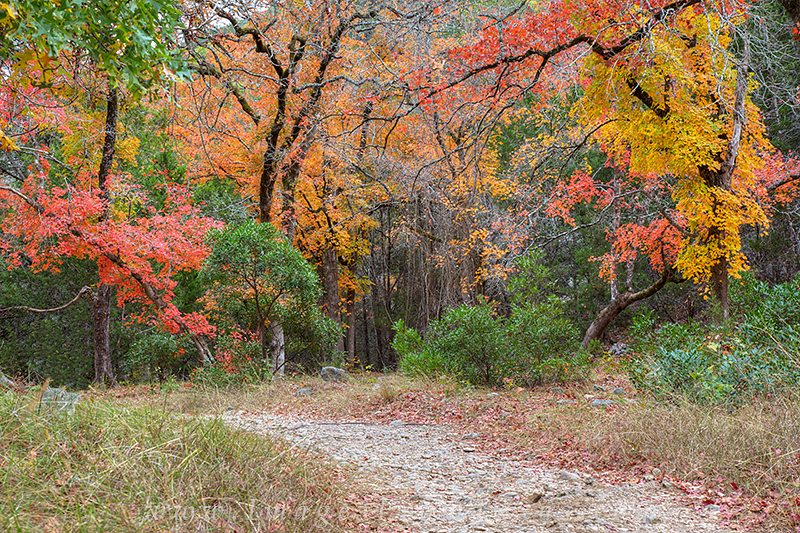 Unfortunately, at Lost Maples State Park in the heart of the Hill Country, most paths are very trodden. Still, if you go during the week, you'll enjoy moments of silence surrounded by Autumn color that can take your breath away. On a cold November day, the walk can be invigorating. Take your time and enjoy the fresh air! Photo © copyright by Rob Greebon.